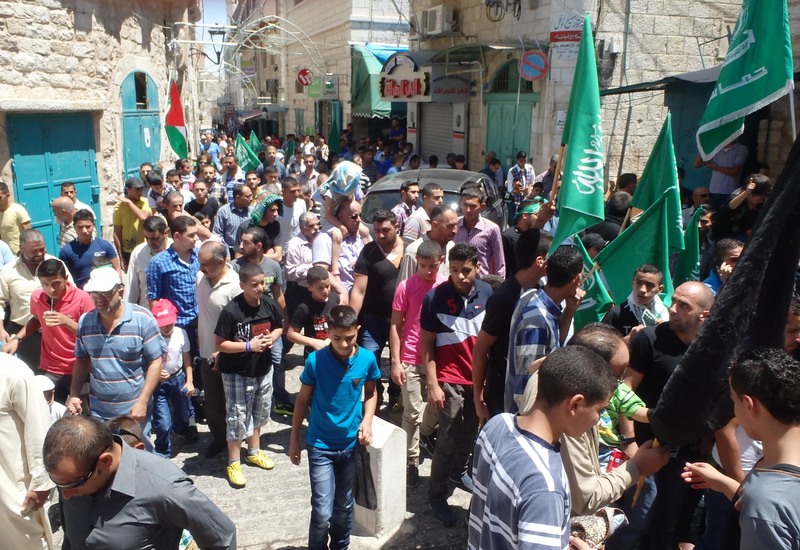 On Friday August 1st, Palestinians in Bethlehem demonstrated against Israel’s massacre Gaza. Between 3,000-5,000 people protested, men, women, and children. 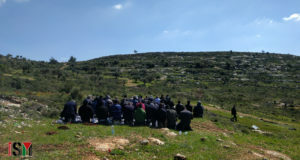 The demonstrators marched to the checkpoint, where they faced an Israeli guard tower. People were chanting and singing, and no one was throwing any stones. 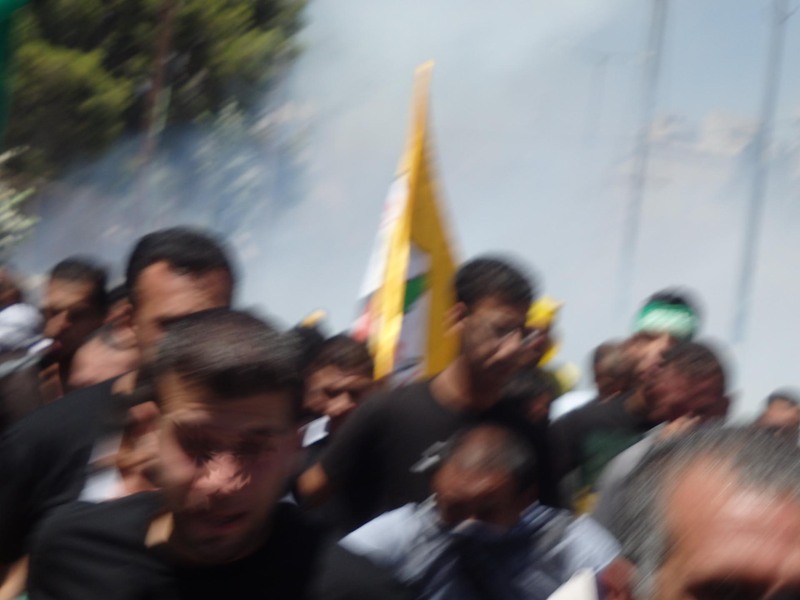 Approximately 20 Israeli soldiers came out and shot tear gas into the crowd. 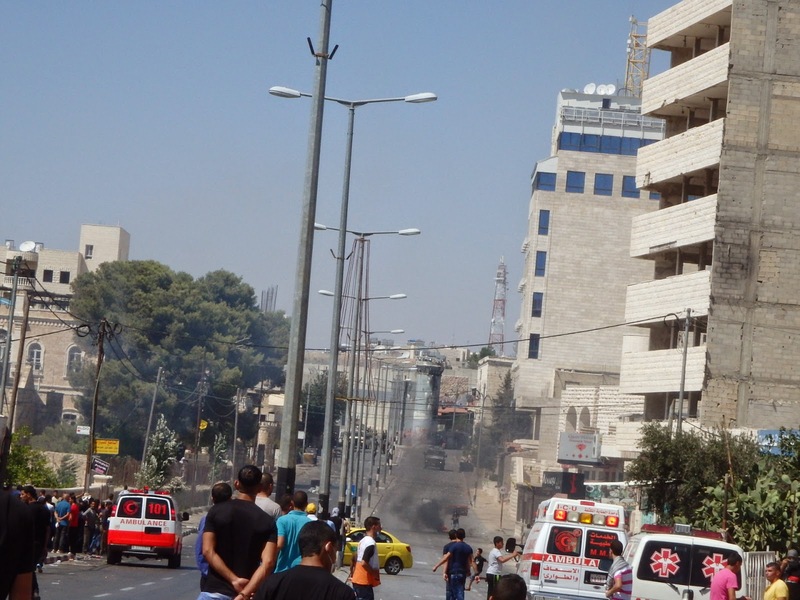 People in the front were suffered very badly, and a few had to be taken away by ambulance due to excessive tear gas inhalation. 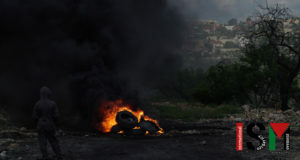 A small group of Palestinian youths responded by throwing rocks at the soldiers, who shot more tear gas into the crowd. After that, most of the crowd dispersed, and approximately 20 youths confronted the army, who opened fire with rubber-coated steel bullets. More people were injured.